When you need freshly laundered clothes in a hurry, the WashDry 60 programs delivers. Designed to wash and dry a small 1kg load in just one hour, it’s perfect for solving that last-minute clothing crisis of when you forget to wash your favourite work shirt. 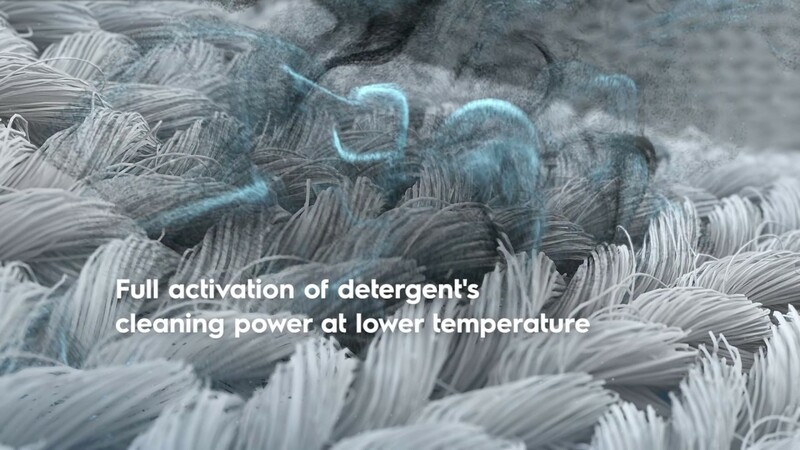 You don’t have time for detergent residue to be left on your clothes post wash and with the UltraMix technology this will never be a problem. UltraMix pre-mixes water and detergent in a special chamber before the beginning of the cycle to prevent this from happening. UltraMix also maximises cleaning power at a lower temperature, to ensure your clothes stay newer for longer. Let’s face it you’re always in a hurry and sometimes just don’t have time to wash the clothes you want to wear which makes the Vapour Refresh function your best friend. The function quickly freshens and gently revives your garments without washing. The innovative program removes wrinkles, odours and reduces the need for ironing so you can get to lunch with your friends on time and looking great. The Time Manager function is ideal for a busy lifestyle as it adapts to you. Featuring both a variable wash time and delayed start, this convenient feature lets you select the time you want your wash to end so doing your washing doesn’t have to be a major part of your schedule on the weekends.